The principles of Sustainable Prosperity revolution come in part from the meta-principles of evolution. 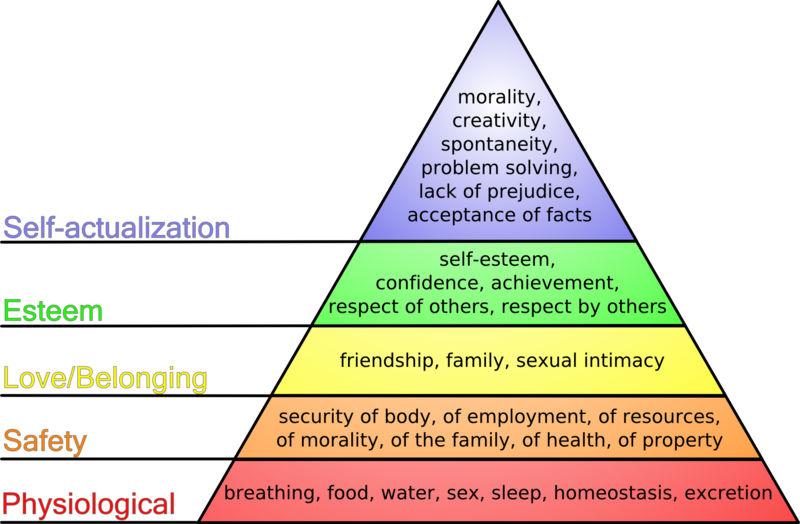 They will create a whole new and thriving sustainable consumerism and a new more fair-exchange-based economy based upon satisfying more and more of the need levels found within Maslow’s Needs Hierarchy for humanity. Up to a billion or more jobs will be created worldwide as we adapt to the climate destabilization caused by global warming already built into the system. For example, by 2100 sea levels look like they will rise 1 1/2 to 2 meters and possibly more. This single consequence of climate destabilization caused by global warming alone (there are many others) will produce the greatest single construction and reconstruction project in human history as we move all homes and essential infrastructure at least 4-9 meters above sea level (due to storm surges, waves and high tide peaks). There is also much me have to do for wild fire, drought, and inland flooding mitigation. To learn more about climate destabilization caused by global warming, click here. Tens of millions of other completely new jobs of all kinds will be created to help people develop and achieve Maslow's higher needs. And finally, we will need hundreds of thousands of new specialized mathematicians and accountants who can create the continually evolving algorithms and formulas necessary to track full consequence capture, fair exchange, and the triple bottom line. This will allow businesses, organizations and governments to have this information available to make better choices for fair exchange based sustainable prosperity and to accurately assign consequence responsibilities for current business costs that are currently being unfairly exported to others and often invisibly placed upon communities, individuals and the environment. Let's hope that our government officials begin immediately to execute the new training and programs that will facilitate the new Sustainable Prosperity jobs above being filled so that the exponentially escalating job losses as we move through the Great Jobs Transition from the Second Industrial Revolution to the Third Industrial Revolution are not so severe over the next 20-40 years as to completely disrupt our governments and societies! Previous Page: ‹ How to Resolve the Next Great Global Jobs Crisis that Politicians, Businesses and National Banks Dare Not Discuss For Fear the Millenials and Younger Generations Might Revolt!